Very dear to us in our tasting panel are the women, the numbers of which have continually grown over the last few years. We don’t want to be without the fine sensors and the clear faculty of judgment that our female panel members possess. Women became a separate target group for cigar manufacturers a while ago. In the US in 2009, a hub was especially established for women in the industry – the International Women’s Cigar Society (IWCS). The IWCS platform not only unites the dealer, manufacturer and supplier sides; female cigar smokers and women’s cigar clubs also find a point of contact in IWCS. In issue 1/14, we at Cigar Journal wrote a comprehensive article about the association and its activities: IWCS. Network. Over the past year, IWCS has carried out a survey in three parts – in the pursuit of researching the preferences, tendencies and attitudes of the target group women cigar smokers. The results of parts one and two are already available; part three will soon be released. Taking part in the survey were 500 women, 50 percent of which were European and 50 percent from the United States. Nine out of ten women find that they are under-represented in the following fields of the industry: publications, and when it comes to accessories like lighters, cigar cases, humidors or clothing. A staggering 92 percent of women found that things offered at cigar events or tastings are geared toward male smokers. This means that there is a large and increasing market potential in accessories and events – and possibly also in the acquisition of female readers of cigar publications. Women writers in the cigar scene, however, represent a more pleasing share. In the meantime there is even a female blogger. On Cigar Fantasia, Emma Victorsson is extremely active, writing exciting articles all about cigars. 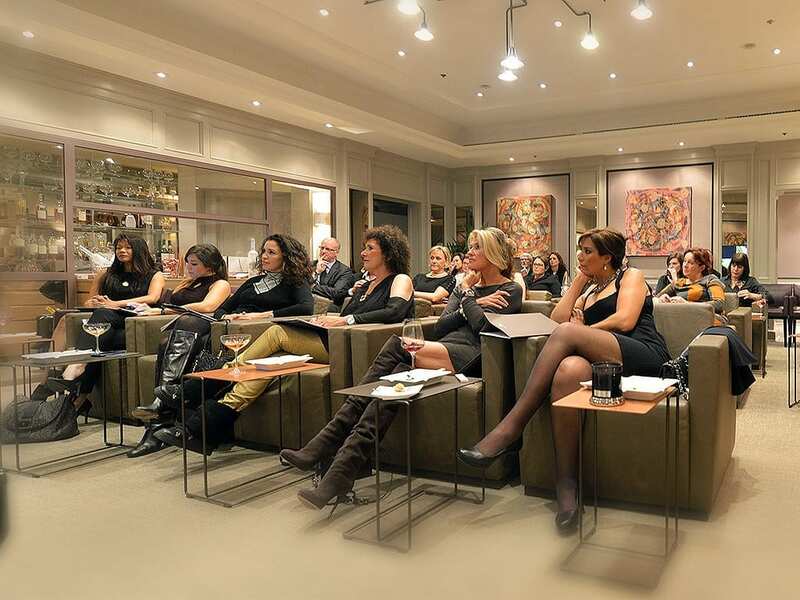 Already a few years ago, Davidoff began catering to the growing target group of women and launched the Ladies Masterclasses – an evening training session aimed especially at women and to do with cigar smoking. 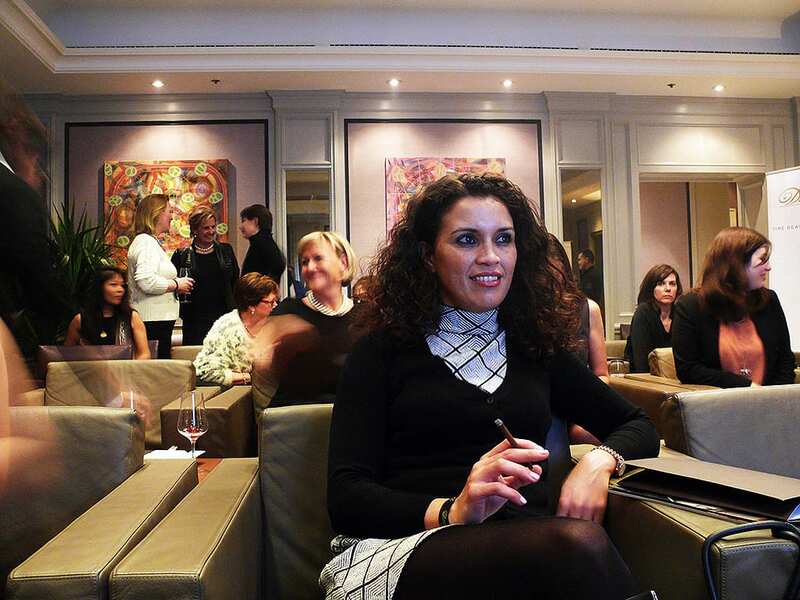 “For us, women are an important target group for two reasons,” confirms Paloma Szathmary, senior vice president of corporate communications at Oettinger Davidoff AG. “We appreciate that a good 10% of our clientele is women – with an upward tendency. Women discovered the enjoyment of cigars, whether through being with a partner, friends or through other women. The number of the cigar clubs for passionadas is growing,” the expert further explains. And, “In addition, women have an influence in the choice of accessories, which shouldn’t be underestimated; mainly, however, with humidors. Humidors are both decorative pieces and should fit in well with the interior decorations of the home.” And it wasn’t just for this reason that the Swiss company recently had mainly female artists design the current Davidoff accessories and the Art Edition boxes. Incidentally, according to the survey, passionadas own at least three lighters and buy cigar accessories not necessarily because they need them but because they like them. Apart from the fact that there is huge marketing potential in women (88 percent don’t know how much money they spend on cigars and related accoutrements) the results of the survey also show that female cigar smokers don’t feel that they are taken seriously. Just an example, 75 percent said that they have had discriminatory remarks from male customers in tobacco shops. 78 percent do not want a cigar that is especially created for women. But women – although they would like to have certain accessories geared towards them – on the other hand, don’t want any special treatment when it comes to the central issue: 78 percent do not want a cigar that is especially created for women. of all women surveyed preferred to smoke Robustos or larger cigars. More often than not, however, they are offered Coronas or Petit Coronas. of women cigar smokers surveyed bought 90% of their cigars at their local or another tobacconist’s rather than on the internet. of women surveyed said they had been frowned upon as female smokers at least once. took the view that women are largely underrepresented in cigar publications and certain product offerings, such as lighters, cigar cases, humidors, clothing and the like. stated that they did not want a cigar made especially for women. It was not important to them to be singled out as different to male smokers. These same women said they would attend more cigar events if they offered more for women. gave examples of discrimination by male customers in tobacco shops. did NOT experience any discomfort smoking cigars in a predominantly male environment. smoked eight or more cigars per month.